The day I was diagnosed with sleep apnea, my doctor sat down with me and told me a little bit about CPAP. I remember sitting in his office, thinking I’d have to sleep wearing a bulky and uncomfortable mask for the rest of my life. Truth is, there are many more sleep apnea treatments without a mask than what your doctor might have led you to believe. 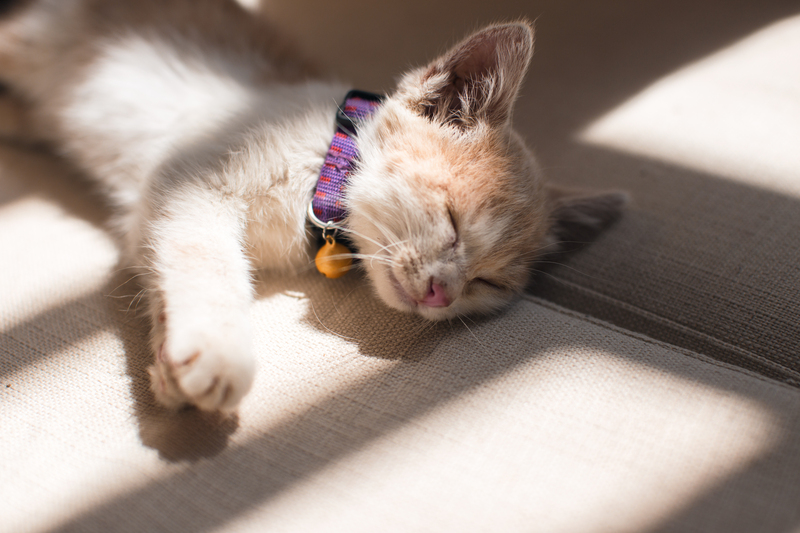 Some of these alternatives might actually work better for you than CPAP! CPAP is the go-to treatment for sleep apnea simply because of age and versatility: it was developed circa 1981 and was the first non-invasive treatment option for sleep apnea. Because it was developed a few years earlier than other options for treating sleep apnea, there’s considerably more research about CPAP’s effectiveness than there is about any other treatment option. The other reason for CPAP’s popularity is that, in theory, it can treat all levels of sleep apnea. – CPAP can get very expensive. In my quick and dirty guide to CPAP, I talked about how I was on track to lose about $1800 in a year to CPAP by purchasing it from the medical equipment supplier. The reality is that CPAP can be a very effective method for treating sleep apnea, and that given the right compliance from patients, it really can be a lifelong solution. However, this does not mean that CPAP is the best sleep apnea treatment option for everyone. The problem lies in its low compliance rates. Depending on your sleep apnea severity (AHI), weight, prefered sleep position, jaw positioning etc. you may not need to go through the pains of adjusting to CPAP to effectively treat your sleep apnea. The following sleep apnea treatments without a mask might prove to be more effective than CPAP depending on your needs- thus sparing you the pain of having to wear a mask to sleep every night. Provent is one of the few non-CPAP sleep apnea treatments that has been cleared by the FDA after studies have shown that it can treat sleep apnea. It consists of two tiny breathable filters that attach to your nose. It looks a lot like 2 small band aids that are roughly 1.5 inches wide each. Provent works by creating positive expiratory pressure when you exhale. This added pressure helps your breathing slow down and causes your airways to open up more. This increase in airway size helps treat sleep apnea. When using the product, you feel no resistance when breathing in through your nose. Instead, you feel a significant resistance when you exhale (probably greater than a pressure of 10mmH20 on CPAP). Check out this quick video to see how it works. Although Provent has been cleared by the FDA and has been shown to work in clinical trials, the product still has some drawbacks. For one, there is no objective way to tell if the product is actually improving sleep quality in patients. Currently, Provent lacks sensors to obtain data about how effective the treatment is. Additionally, pricing is rather steep, at about $700 a year (though insurance can sometimes help with this). Still, many people have noticed huge improvements with Provent. I especially like the fact that it’s small enough to fit in your pocket so it can easily be taken on camping trips and while travelling. You can check out their website for more info. I know exactly what you’re thinking; yes, “didgeridoo” is an actual word. Didgeridoo is probably not the best name for a sleep apnea treatment if you care about the credibility of the product. The didgeridoo is, however, one of the most esoteric, sleep apnea treatments without a mask currently available. The didgeridoo is an Australian wind instrument that is played by blowing into it. It’s basically a big, hollow tree branch that makes a growling sound when played. The didgeridoo improves sleep apnea by strengthening the muscles that cause airway obstructions. The more toned the muscles are, the less likely they are to collapse and lead to apneas. Additionally, it can also help you stop snoring. The didgeridoo has been featured in the Dr. Oz Show, NBC’s The Doctors, and in The Mayo Clinic Home Remedies book. A few scientific studies have reported that the didgeridoo is an effective treatment for sleep apnea. For example, one study by Swiss researchers found a significant decrease in AHI in people that played the didgeridoo for 8 weeks compared to those that didn’t. Check out how you can treat sleep apnea (and have a bit of fun in the process). MADs, a.k.a. sleep apnea dental appliances, are mouthpieces worn when going to sleep at night. These mouthpieces have some significant benefits over CPAP, such as not having to wear a mask to sleep, lower maintenance costs, and not having air blown into your face at night. As a result, MADs have a much higher compliance rate than CPAP. Overall, MADs are the second most prescribed treatment for sleep apnea, next to CPAP. Sleep apnea dental appliances are similar to anti-snoring devices in that they both involve wearing a mouthpiece while sleeping at night. The big difference is that sleep apnea dental appliances are FDA cleared for treating sleep apnea, whereas anti-snoring devices are usually not. Note that MADs are only prescribed to patients with mild to moderate sleep apnea since they do not work well enough for those with severe sleep apnea. Talk to your doctor if you want to try out a MAD. After an initial assessment, the doctor will refer you to a dentist. The dentist will create a custom mold of your teeth that will be used as a reference to create the dental appliance. After receiving the dental appliance, the patient goes through a period of fittings with their dentist to adjust the mouthpiece for maximum comfort. When all is said and done, the cost for MAD is about the same as the cost for CPAP. 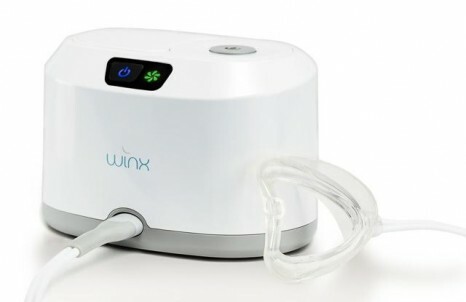 Winx is very similar to CPAP, instead of using a mask to regulate breathing, it uses a type of mouthpiece attached to flexible tubing at one end and connected to a small console at the other. The console creates a small vacuum to push the lower jaw and tongue forward, which helps to keep the airways open. The Winx Sleep Therapy System is very small and portable. One downside is that, as with most other sleep apnea treatment alternatives, it can take a few nights to become adjusted to the oral pressure created by the console. Another caveat is that users of Winx must be able to breathe through their nose and with their mouth closed in order to use the device, meaning that it might not be a good option for people that suffer from allergies and sinuses often. That being said, this mask-less sleep apnea treatment does have some pretty cool features. One is that it tracks the patients sleep data, which helps determine if the treatment is actually working. Additionally, many people report that the mouthpiece is very comfortable and easy to sleep with. Also, Winx was recently cleared by the FDA for the treatment of sleep apnea. Talk to your physician if you would like to try out the Winx Sleep Therapy System. The Winx system is currently not available for direct purchase, however, the company claims that this will be an option sometime in 2017. Losing weight is easily one of the most effective ways to treat sleep apnea. Being overweight has the highest correlation with sleep apnea. The biggest reason is that the extra fat around the neck contributes to blocking the airways. For a large number of sleep apnea patients, being overweight is what caused the sleep apnea in the first place. If this is the case for you, shedding a few extra pounds can eliminate your sleep apnea. This is because losing weight leads to less fat around the neck and less likelihood of breathing blockages. In addition, it goes without saying that exercising regularly comes with a lot of other benefits such as a lower risk for heart disease, strokes, cancer, and much more. Inspire involves surgically placing a device into the chest. It works by monitoring your sleep breathing patterns and stimulating various airways muscles to keep your airways open while sleeping. As crazy as it might sound, the device is actually controlled with a remote control. The control can be used to increase or decrease the frequency of the stimulations. Though a fear of surgery might scare a few people from considering this option, the good news is that Inspire doesn’t require additional equipment on your body while sleeping. Success rate for the treatment looks rather positive too, with studies reporting about two thirds of patients receiving Inspire improving or completely resolving their sleep apnea. In order to learn more or try Inspire, check out their website. Inspire is FDA approved for treating sleep apnea, but it’s not covered by insurances at the moment. However, many patients that ask their doctor about the procedure and talk to their insurance companies are usually able to gain coverage for Inspire. Acupuncture is an ancient form of alternative medicine involving tiny needles inserted into certain parts of the body. It has been used in oriental countries for many centuries, with a very wide range of claims about its healing effectiveness. Though acupuncture has at times been called a pseudoscience, a study by researchers in Brazil on January 2017 concluded that acupuncture can actually cause a significant decrease in AHI for patients with mild to moderate obstructive sleep apnea. A research review by a different research group reviewed a number of scientific papers on acupuncture and found 6 research papers that concluded that either acupuncture or electroacupuncture lead to an improvement in AHI. That being said, the mechanism by which acupuncture relieves sleep apnea is not yet fully understood. Sleeping on your back has some benefits. For example, in this position your spine is at its neutral supine position. Your weight is distributed evenly throughout your body as there is more surface area making contact with the bed. This is great news for people that experience neck and back pain. However, if you snore or suffer from sleep apnea, this is the worst position you can assume while sleeping. When you fall asleep, your throat and airways relax, making it easier for breathing obstructions (aka apneas) to develop. Sleeping on your back is the perfect position for these blockages to occur. Many studies have shown that sleeping on your back makes snoring and sleep apnea much worse. This study published in the Sleep journal showed that patients that slept on their backs had a higher incidence of sleep apnea than those that didn’t. The difficulty with sleeping on your side is that oftentimes people shift positions while sleeping. To help combat that, you can attach three tennis balls to your back or sleep with a backpack on to prevent you from shifting away from sleeping on your side. Uvulopalatopharyngoplasty (lets just call it UPPP) is one of the more drastic treatment options for sleep apnea. It involves the removal of tissue from the the uvulla, soft palate, pharynx, tonsils and/or adenoids to stop obstructions that cause sleep apnea. Does it work? The answer is, it depends. UPPP has about a 60-70% complete sleep apnea cure rate. Patients that are morbidly obese generally experience lower success rates with the surgery. The benefit of UPPP decreases over time after people have had the surgery. The reason for this is that sleep apnea is often caused by a mix of obstructions other than the parts involved in the surgery. For example, the tongue, narrower airways, and even a crossbite can contribute to sleep apnea. In many cases, surgery cannot remove the parts of the things that are causing the problems. UPPP is covered by most health insurances. Ask your physician if you would like to learn more or try out UPPP. These exercises work by strengthening the muscles in your airways. As you strengthen your throat muscles, your airways open up more throughout the night, therefore preventing sleep apnea episodes from ocurring. Specifically, these exercises involve strengthening your soft palate, uvula, tongue and jaw by making them more resistant to airway collapse while sleeping. The first time I stumbled across these exercises, I couldn’t help but laugh at how silly they look. However, science isn’t laughing. Science cannot show that these exercises don’t look goofy, but it has shown signs that throat exercises can work. One study examined the effects of throat exercises on patients with moderate sleep apnea. Compared to the control group, the patients doing the exercises showed a statistically significant improvement in their AHI (number of sleep apnea incidents per hour). The average improvement in AHI was about 61%. The study also showed decreases in the patients neck circumference, snoring intensity, daytime sleepiness, and an overall improvement to sleep quality. The drawback of these throat exercises is that they take time to work. Unlike CPAP, where you can expect changes pretty much the morning after you start using it, throat exercises take time to make a difference. The good news is that you’re improving your sleep apnea issues without having to sleep with a mask or anything else on you. Check out how a few simple throat exercises can treat sleep apnea. Anti snoring devices are mouthpieces worn before going to bed to stop snoring. These devices are usually very effective at stopping snoring, but they aren’t meant to treat sleep apnea. However, for people with mild to moderate sleep apnea, anti snoring devices may help by slightly reducing the number of apneas per night. That being said, keep in mind that this may not always be the case, hence why it has a spot in the honorable mentions section. If you snore or know someone that does, check out The Seven Best Anti Snoring Mouthpieces To Buy In 2017 to see some of the most popular FDA cleared anti snoring devices available right now. These DIY quick sleep apnea home remedies may not eliminate sleep apnea, but the can help reduce it. The best part is that you might already have all the necessary materials to start trying out these remedies today! Check this infographic on The 9 Home Remedies Sleep Apnea Patients Will Be Glad To Know Exist for more options to treat sleep apnea. These are the best sleep apnea treatments without a mask available at the moment. Though they vary in effectiveness, it’s important to remember that sleep apnea is a complex sleep disorder. Because of this, everyone will experience variations in how they respond to each treatment option. If you are considering any of these treatments and would like to learn more before you go forward, proceed to leave a comment below and I will be glad to help. This article is beyond important. With a boyfriend and father who suffers from sleep apnea, I think that many of us don’t know alternative treatments and only resort to the VERY EXPENSIVE treatments prescribed by our physicians. I think that my sister was trying to tell my dad about the throat exercises a few months ago, but everyone– including me, just laughed her off. I am going to pass this article on to her, my honey and to my dad, in hopes of offering him some extra help. You’re right, many sleep apnea patients go with the first option prescribed by their physicians because there is just not much information about sleep apnea treatments without a mask out there. I’m glad you found the article helpful. Feel free to comment or send me an email if you have any questions. Quite a good article you share here with everyone about sleep apnea treatments. Thanks for sharing a wide range of treatments, all of them sounds to me good to give them a try, I must say I will go first with those who sound like working better. Throat Exercises, think this one will work good, exercise seems to improve all kind of things that goes not the way it should be, and also think Didgeridoo might be about the same, some throat exercise and as you mention on your post this might work and at the same time will be some fun to get to learn how to play it. The throat exercises might look funny at first, but for those that don’t mind that, they might find out that they actually work pretty well as far as sleep apnea treatments without a mask go. The Didgeridoo is also pretty exciting because it has the added benefit of allowing you to play a new instrument. My friend had told me that acupuncture is really great and would help me with treating the terrible sleep apnea I’ve been struggling with for years. Although I didn’t want to tell or show him that I don’t want to get needles all over my body, I decided to look for more options out there, and I’m very glad I can now tell him I feel like throat exercise will do more good. Thanks for the many options you have offered. I’ll be coming back here for more insight. Glad the article helped Dave. One of the most important things sleep apnea patients can do is research the web and talk to their doctor to find options for sleep apnea treatments without a mask. There are many out there, you just have to persevere a bit to find what your looking for. This is an interesting and helpful post. Sleep Apnea is a problem for many people and the CPAP is expensive. I feel sorry for anyone who has to wear it every night as it looks very uncomfortable. Some of you tips on dealing with the problem of sleep apnea are much simpler than sleeping in a mask. My son was recently diagnosed and I have sent him a link to your post as he can’t afford the CPAP. Thanks for sharing this information. No problem Margaret, when I write these articles I look including the most helpful content that can benefit the people out there. It’s great to see others benefiting from from it. I know that getting a sleep apnea diagnosis for the first time comes with a lot of confusion and questions, so if your son would like help with anything, let me know that I’m here to help.